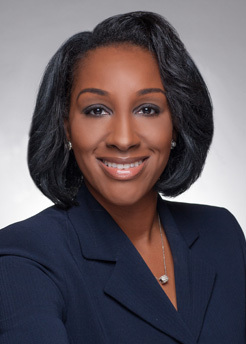 Angella Middleton focuses on commercial litigation for corporate clients, particularly in the insurance and higher education industries. Her experience includes matters involving excess and catastrophic loss, professional liability and general litigation. She has also worked for the Philadelphia District Attorney's Office and the Camden County Prosecutor's Office. Prior to joining Saul Ewing Arnstein & Lehr, Angella was an associate in a Philadelphia law firm in its general litigation practice group. She handled complex litigation matters for corporate and individual clients ranging from local to national companies and businesses. While in law school, Angella was a dean's list member and associate managing editor for the Rutgers Journal of Law & Religion. She was also elected president of the Black Law Students Association and competed with the Rutgers AAJ Trial Advocacy Competition Team. After law school, Angella served as coach of the Rutgers Thurgood Marshall Mock Trial Team. Under her leadership, the team was awarded first place in the Mid-Atlantic Region in 2015.